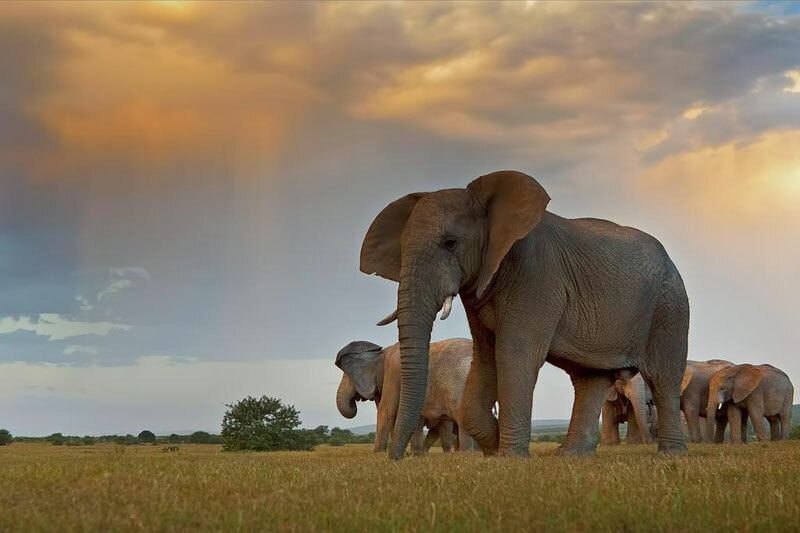 South Africa’s third-largest park, Addo Elephant Park stretches from the mountains of the Karoo across the fynbos and forest-clad Sundays River Valley all the way to the biggest dune fields in the country on the coastline at Woody Cape. It’s also hugely ecologically diverse. And you’ll see plenty of other game – black rhinos, zebras, Cape buffaloes, spotted hyenas, birds galore, and even a group of black-maned Kalahari lions, considered the closest thing to the original Cape lion that once roamed these parts. The park is split into separate sections, which can get a little confusing. The main areas for spotting elephants by the dozen are in the Main Game Area and Colchester Section. If you’ve only a day at your disposal, then self-drive these sections, easily done in an ordinary car hire or sedan, and you’ll end your day satisfied. The Kabouga Section (hardly anyone knows about it) is not only far larger than the Addo Main Game Area but it’s also incredibly beautiful. The highlight is the Bedrogfontein 4×4 trail (book through Addo) that heads to the Darlington Section (high-clearance for sure). 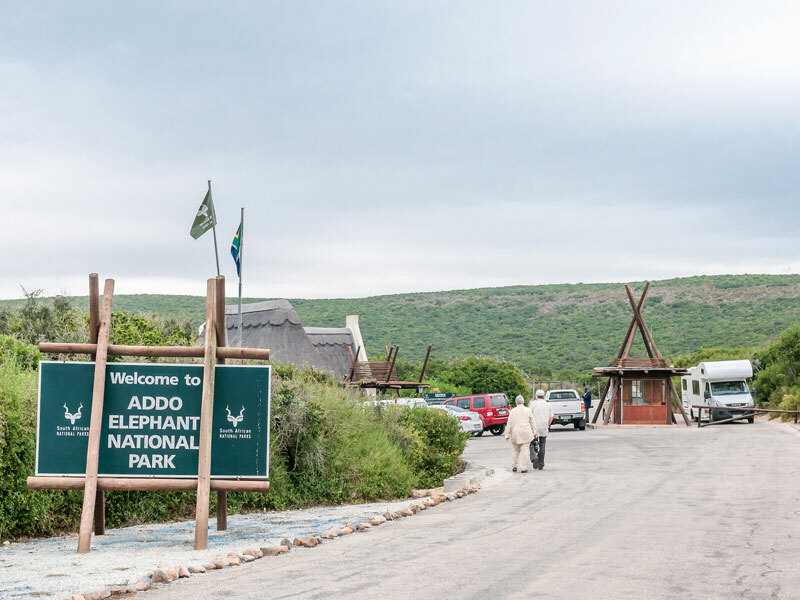 But be warned: it takes just under an hour to drive from the Addo Main Gate to the Kabouga Gate via the R336, and the trail can take as long as six hours to complete. It’s the mountainous parts of Addo that are truly beautiful (Zuurberg, Nyathi sections – scroll down for places to stay in the private Nyathi part of the park). If you’re just here for the elephants then stick to the thicket (LOTS of spekboom too), but you risk leaving with the idea that the vegetation is rather underwhelming. The Zuurberg mountains, protected since 1896, are where it’s happening beauty wise. Get there: It’s only 45 km from Port Elizabeth Airport to Matyholweni Gate in the southernmost (Colchester Section) part of the park. Otherwise, the main gate is 72 km from Port Elizabeth. Download directions from the SanParks website. 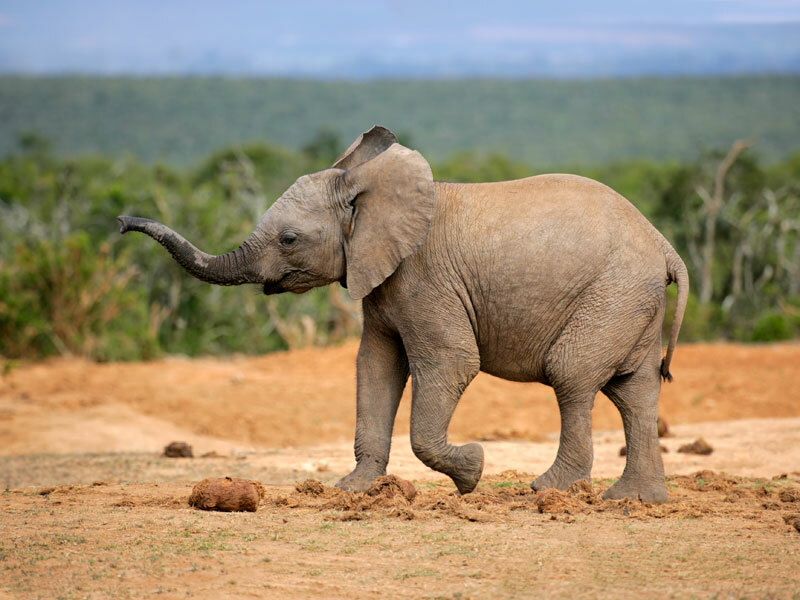 Tip 1: you can hire a guide to drive with you in your car on the roads through Addo Elephant Park. These hop-on guides advise where to go, point out the vivid botany and wildlife (more chance of seeing a lion) you might otherwise miss, and add some keen insight into the history of the park (as well as those insider tips you wouldn’t get otherwise). And the fees involved are pleasantly fair. 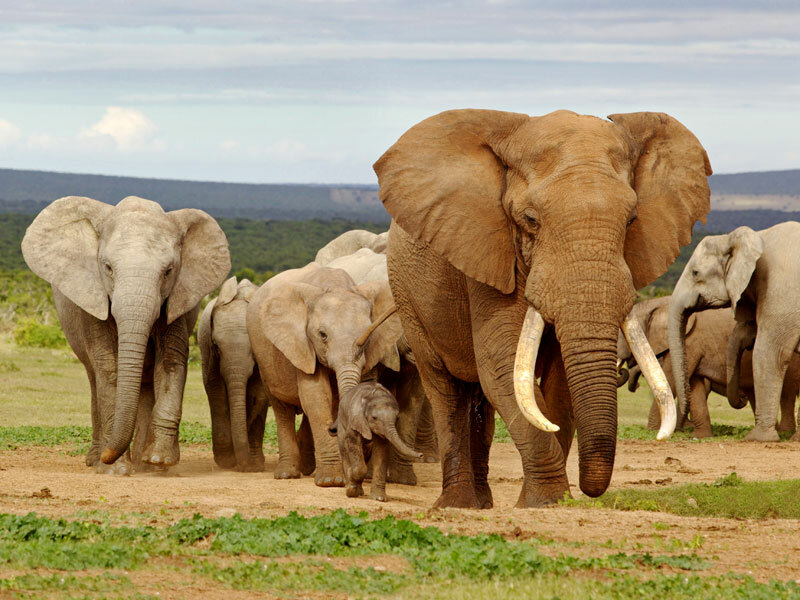 Tip 2: Addo Elephant Park is hugely popular and most of the year their camps are booked up. Aim to stay in either Addo or Sunland (Colchester and Kirkwood are not as close to the gate) and your access to the park is almost as good (scroll to the end of the blog to see our top 5 stays in and near the park). Tip 3: you can hike in Addo Elephant Park, despite there being no official guided trails (bush is just too dense) – the Woody Cape Section has a glorious but tough coastal trail, or there are trails in the Zuurberg Section through the mountains. Tip 4: Carol’s Rest waterhole is great for photographs. You’ll find it about 6 km from Zuurkop Lookout Point, on the Gorah Loop, Main Camp. And not just ellies. You’ll probably manage a shot of zebra and warthogs too. Tip 5: Don’t forget the underground hide at main camp. Despite being common knowledge, not everyone realises the underground ‘bunker’ just below the waterhole (you can’t miss it) exists. If the elephants come to drink, you’re right up close and personal with them – fantastic! 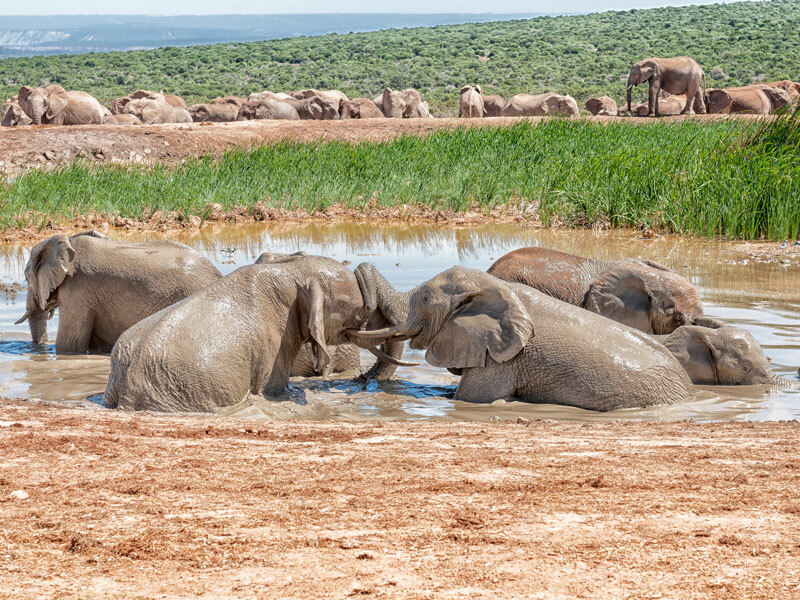 Visit the Waterholes – most life tends to congregate around water in the Main Camp and Colchester areas as there is no naturally running water so it’s pumped up from boreholes. 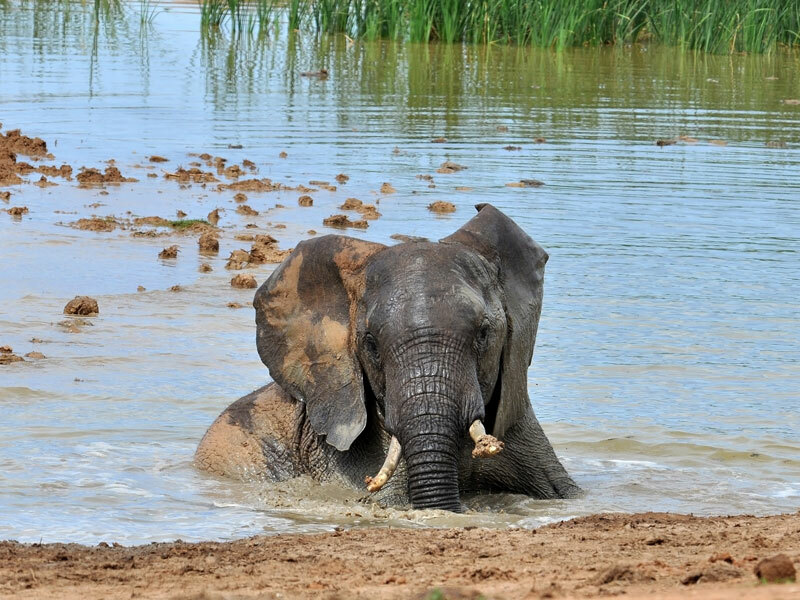 Hapoor, in particular, is great for elephants if the main camp’s waterhole is inundated. And don’t miss the floodlit main camp waterhole in the early evenings. Self-Drive – most of the roads are tarred in the main and Colchester areas of the park, and even those that are not are easily navigable in a sedan, so a self-drive is seriously one of the best ways to spot game. Game drives – there are daily morning and evening guided game drives well worth booking for. Get physical – horse trails, hiking trails (the Zuurberg hiking trails in the mountains are one-hour and three-hour trails respectively, at no extra cost above the entrance fee) and marine eco tours are all available in Addo. Ask at reception. If you want to beat the crowds then head here between June to September – not only is there little rain, but it’s outside the park’s high season (October to March), although your nights will be cold. April to September is also excellent for game viewing, although September to April is considered the best weather. 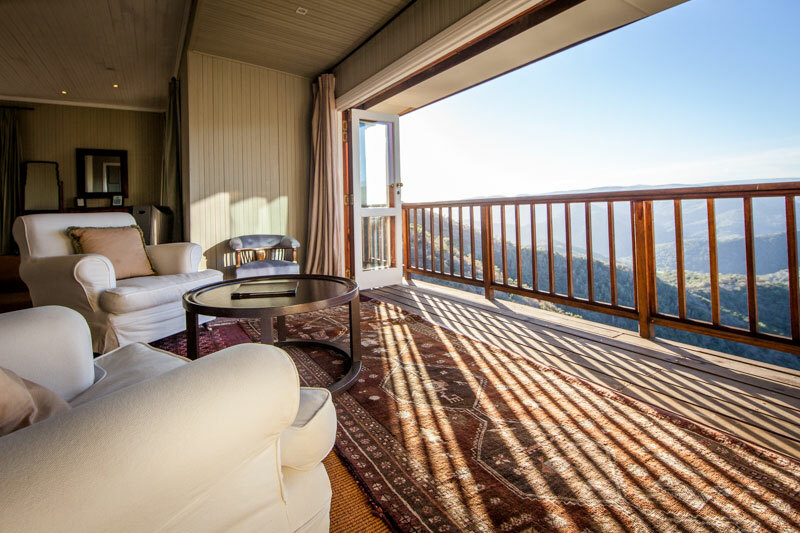 All the beauty of the Zuurberg Mountains, including 270-degree views, combine with a luxury colonial lodge that manages to hint at bygone era without losing any of its freshness. There are daily landrover trips into Addo Elephant Park. Perfect. 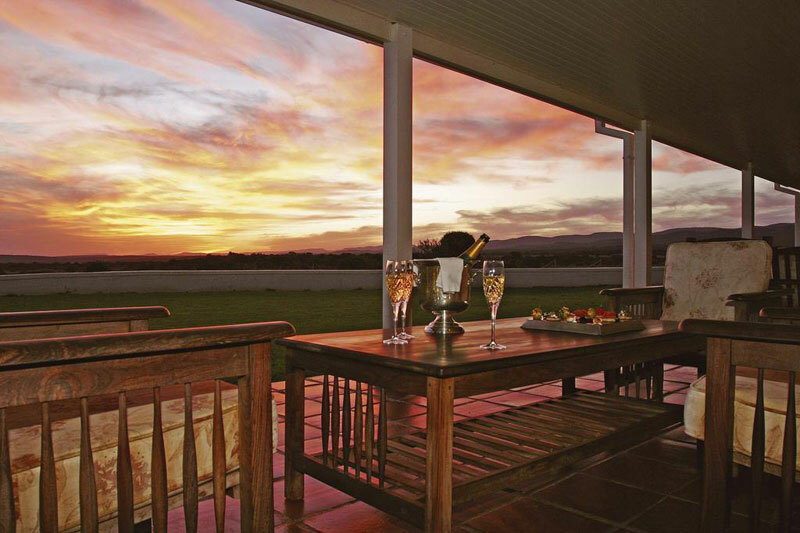 Hire your own private villa in the Nyati Concession of Addo Elephant National Park with views of the Zuurberg Mountains and your own private chef. There are three en-suite bedrooms, living areas, deep veranda, your own indigenous garden and swimming pool, a pillow library (!) and a personal safari guide. Also in the Nyati Concession, River Bend offers seven luxury suites and a honeymoon suite, but the emphasis is on privacy, personalised game drives, walking with giraffes, guided walks, bush picnics, mountain hikes and tracking. 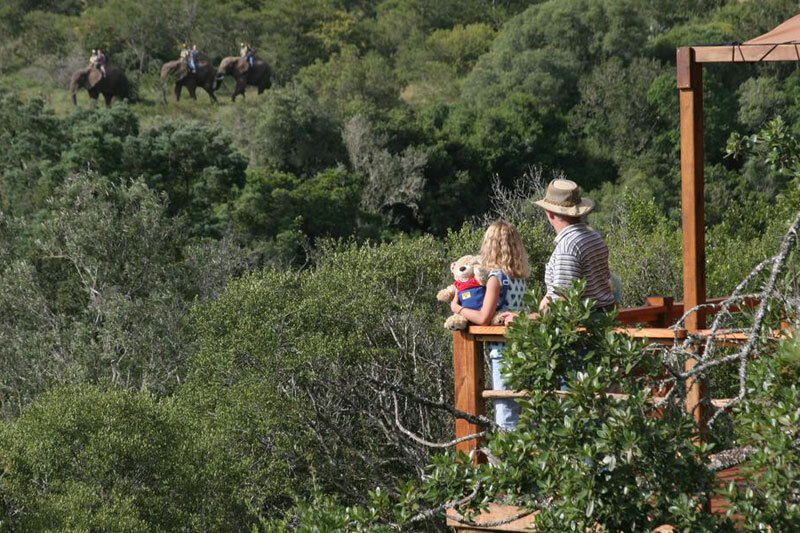 The highlight of any stay at Addo Elephant Safari Lodge has to be the elephant back safaris through the valley bushveld and forest. Stay in environmentally friendly en-suite luxury units with your own private deck, spa bath and wood burning fireplace. 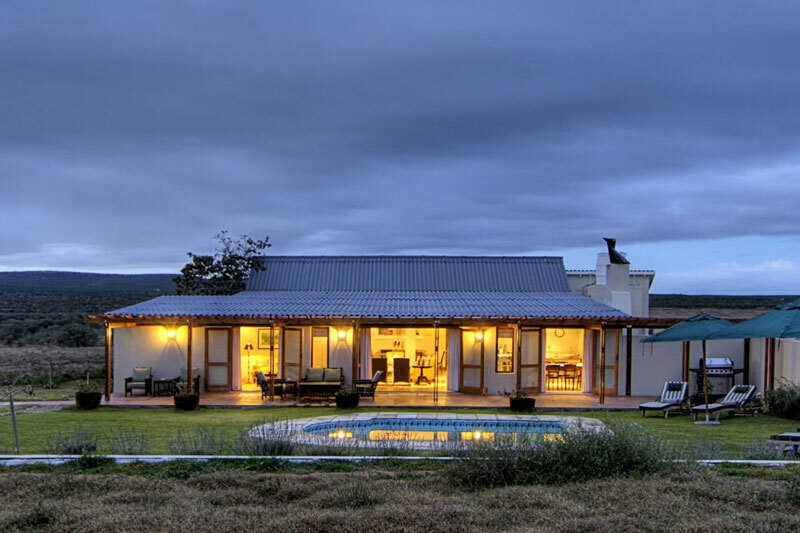 You’re going to love this renovated colonial style farmhouse on a working citrus farm in the Sunday River Valley, bordering on the Addo Elephant Park. 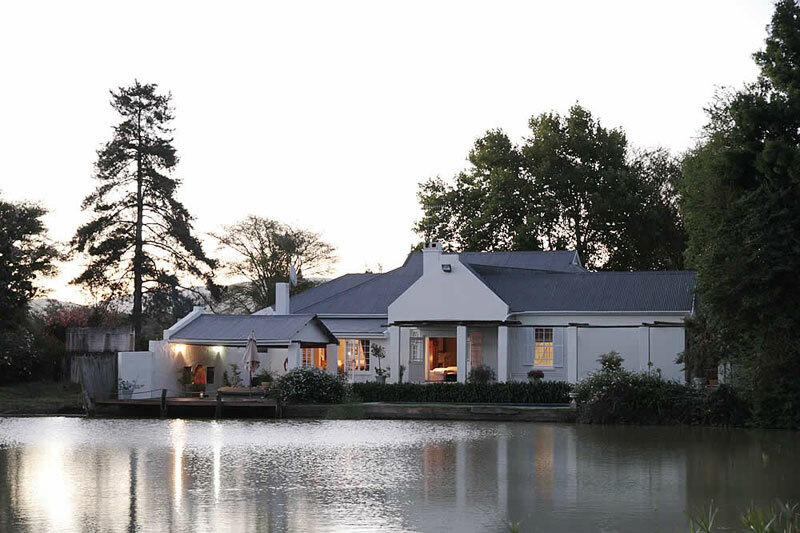 Stay in spacious, individually decorated en-suite rooms, or in a self-contained cottage overlooking the lake.